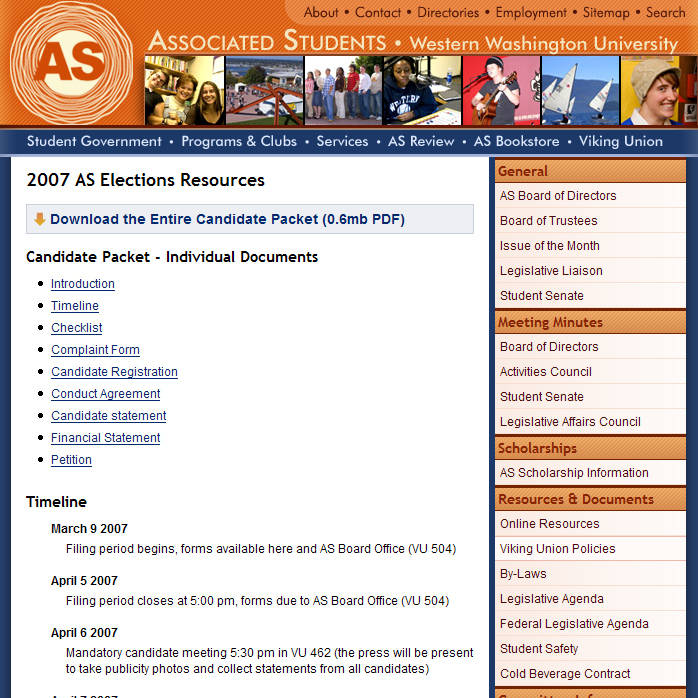 The AS website serves many purposes. 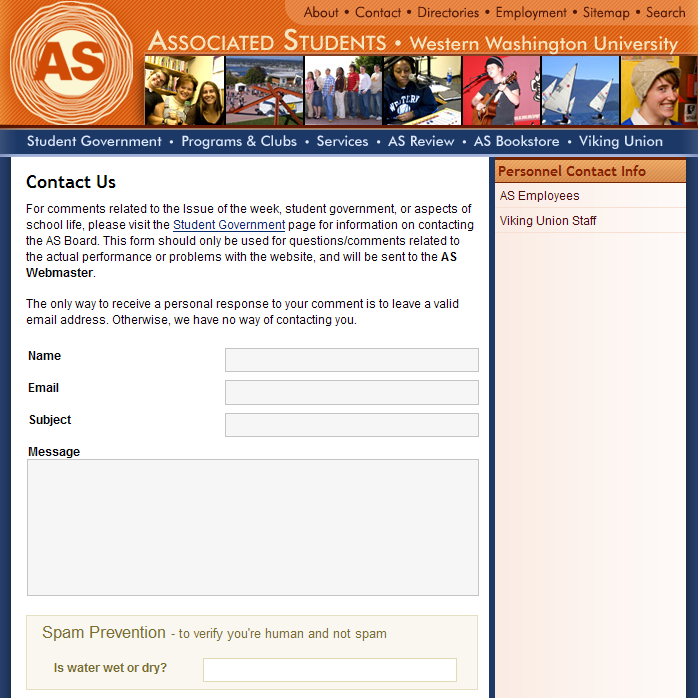 It acts as a wealth of information for the student body, it follows the actions of the student government, and it announces the latest events. 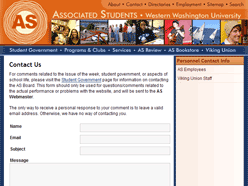 This website was designed to allow for quick and easy access to the most pertinent information and also to allow AS employees to update the content relevant to their office. 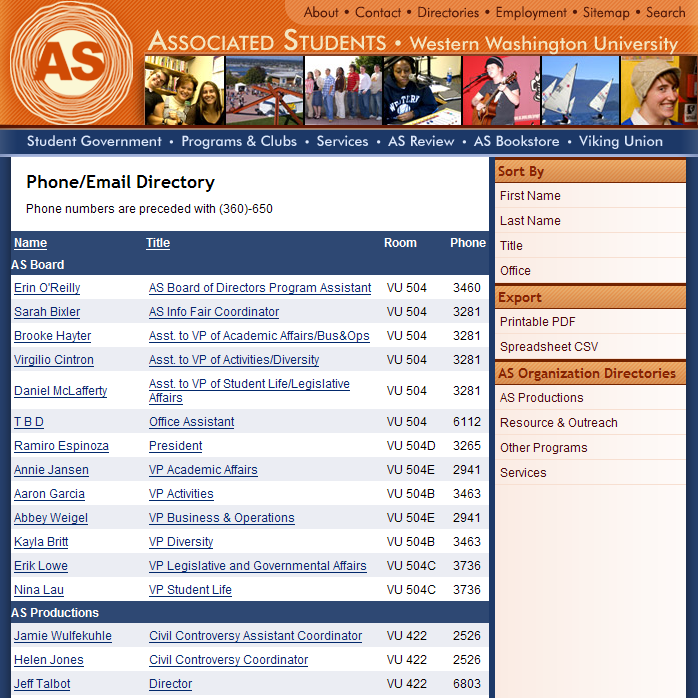 The personnel directory allows you to easily sort the list of information depending on your needs. 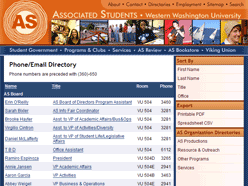 Some simple menu options also make it easy to download the list as a PDF or an Excel spreadsheet by pulling the information from the database and reformatting the data based on your preferences. 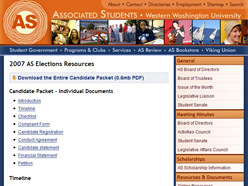 The backend administrative section of the AS website is designed to allow any of the 200+ employees of the AS to add and edit content for the main AS page or for their individual office websites. The layout of this content management system is meant to be as simple as possible, allowing navigation for only the sections and types of content relevant to each user.